All right here is the show as promised! 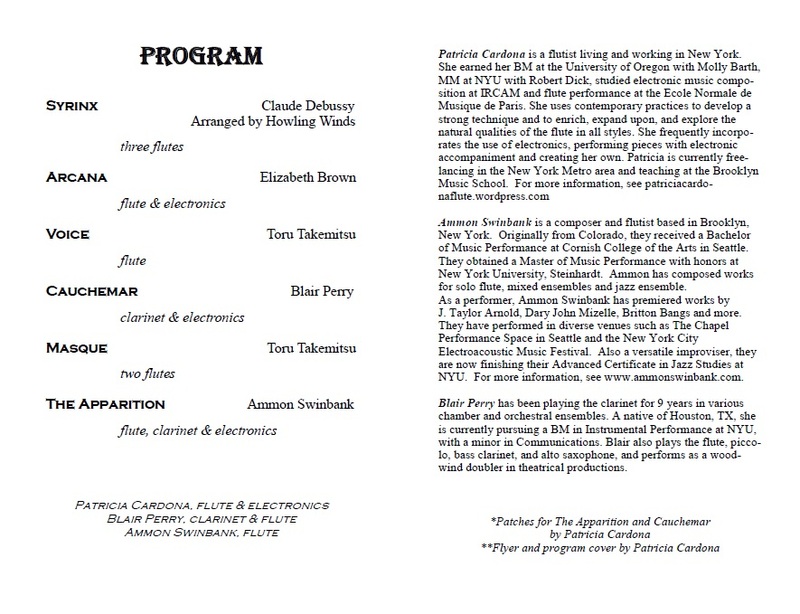 Below you will find the program and each of the six pieces (plus a really fun encore!) listed in order. Click on the program to enlarge and see more information. Hit the back arrow of your browser to exit this view. In the bottom right corner of each video, you will find an HD option and a full screen option. Toggle these as your device allows. Howling Winds was a blast to perform, and I am excited to finally share it with all of you! Thanks again to Patricia, Blair, Anita and Rene for making this show happen.